(JEFFERSON CITY, Mo. 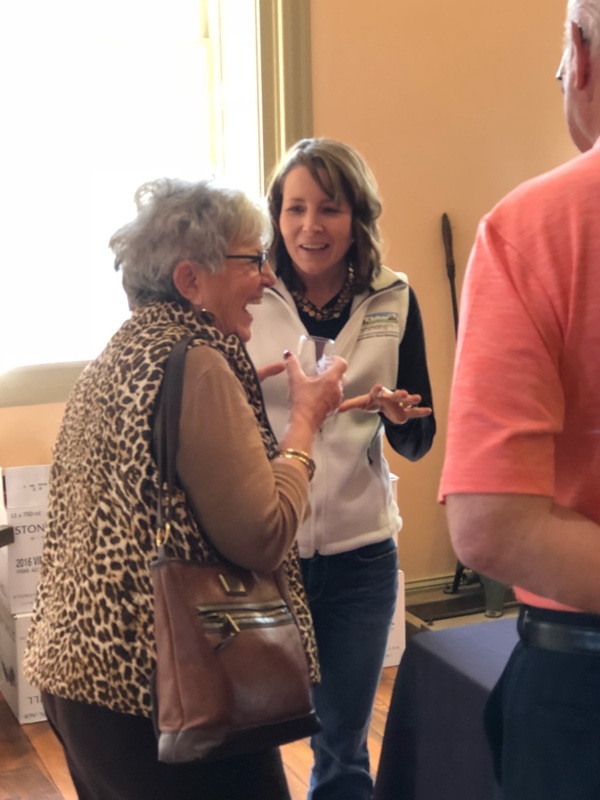 )–Missouri CommonGround and the Hermann Wine Trail welcomed a sold-out crowd of 850 food and wine enthusiasts to the second annual The Farmers’ Table Wine Trail, Saturday, April 6 in Hermann. 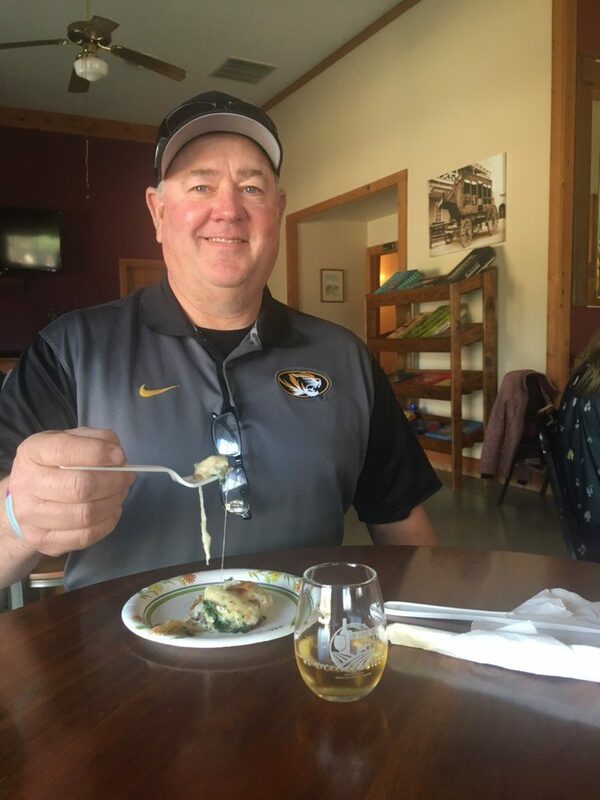 The event provided participants the opportunity to connect with Missouri farmers as they sipped and tasted their way along the wine trail. 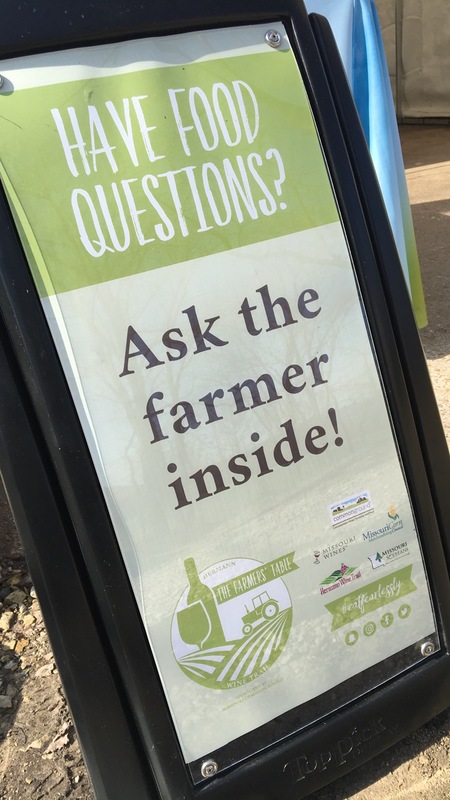 Representing a broad spectrum of the state’s agriculture community, Missouri CommonGround female farmer volunteers were stationed at each of the seven wineries on the trail to help sort through myths and misconceptions surrounding today’s food production. Missouri is one of 20 states participating in the CommonGround program developed by the National Corn Growers Association, the United Soybean Board and their state affiliates. The mission of the volunteer-led program is to share personal experiences, as well as science and research, to help consumers enjoy food without fear. In addition to award-winning Missouri wines, The Farmers’ Table Wine Trail showcased corn, beef, pork, chicken, dairy and vegetables – all foods representing the state’s vibrant agricultural landscape. Recipe cards were also distributed at each stop, featuring that location’s food pairing as well as facts on modern food production. The sold-out event was made possible through a partnership with Missouri CommonGround, the Hermann Wine Trail and the Missouri Wine & Grape Board. Missouri CommonGround is a group of volunteer farm women sharing their experiences raising food with primary grocery purchasers. The organization is supported by the Missouri Corn Merchandising Council and Missouri Soybean Merchandising Council.Learn more about today’s food production and meet the farmers behind the food at www.findourcommonground.com. Photo Caption: Female farmer volunteers were stationed at each of the seven wineries to help answer questions at the second annual Farmers' Table Wine Trail held in Hermann, Mo., April 6. Photo Caption: Missouri CommonGround volunteer Kate Lambert of Laclede, Mo., answers a corn-related question from an attendee of the Farmers' Table Wine Trail in Hermann, Mo. The second annual event featuring Missouri farmers, food and wine was a sold-out event. Photo Caption: Missouri Corn board member Brian Lehman of Versailles, Mo., sits on the national grower-led action team for CommonGround. The program aims to connect farm women with primary grocery purchases and bridge the gap between farm and fork.